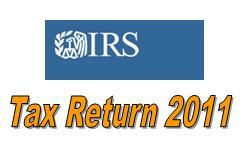 Note: This article covers tax information for 2011. which will apply to the returns due 4/17/2012. It’s January. Another tax filing season is here. As my tax filing preparation is on, I thought of documenting a few key aspects of tax filing here in this blog. We will discuss the tax brackets, tax rates, 2012 tax changes and other sound tax tips that I have followed over the years. Although I have always self prepared and filed my return, I don’t know what I am missing, may be I would have more return through an H&R Block etc, may be not. It’s not a simple task either as being tax expert is a profession of its own. I won’t advocate for self filing your return. This year, remember to file your tax return early, do not wait for the cut off date of 04/17/2012. A guide to help you determine your correct filing status is here. Remember, this is income after adjustments and deductions. When you calculate your taxes due, refer to the tables, they are taken from IRS documentation online . Remember that tax rates are applicable on your adjusted income after accounting for deductions and other adjustments. TABLE 1 – Married Individuals Filing Joint Returns and Surviving Spouses. The personal and dependency exemption is $3,700 for 2011 taxes. Read IRS facts about dependency exemption. Now let’s take a look in to the changes in 2011 tax rules as compared to 2010 tax rules. FSA deduction rule change – This one will impact us most this year. We always bought over-the-counter medicines and reimbursed ourselves from FSA (Flexible Spending Account). Since FSA contribution is pre tax, from this year we need pay taxes on the amount spent for non prescription medicines. That means if you have reimbursed your checking account from your FSA account for over the counter medicines you owe taxes on them. The reimbursements for other medical cost, doctor visits, prescription drugs are still under tax exemption. Stock Price reporting – Your broker will start price reporting on 1099 forms for stock transaction made in 2011. Be particularly careful while calculating capital gain tax liabilities or claiming refund for capital loss. Roth IRA conversion tax – This year you lost opportunity to defer taxes on traditional to Roth conversion, unlike 2010 tax year. Be sure to calculate and pay this conversion tax. If you have converted IRA in to Roth any time in 2012 you must pay taxes this year. Foreign Account Reporting – This will affect many this year. If your aggregate value of all foreign financial accounts exceeded $10,000 at any time during the calendar year 2012, you must file FBAR. For more information checkout this IRS page on FBAR. First time home buyer credit refund – If you availed this tax credit in 2008, you now need to start paying back that $7,500 from this year. Education Credit – Hope Scholarship, American Opportunity, and Lifetime Learning Credit have all saw a change in limits, have a look in to this IRS notice. Alternative Minimum Tax (AMT) – AMT exemption is now set at $47,450 for single filers and head of households. $74,450 for married couples, slightly higher than for 2010. $36,225 for a married person filing separately. I file my tax return using TaxAct basic free version online. The offer a premium product for a nominal fee as well but, since I keep details of my previous year’s tax return with me I never felt the need of using this fee based service. If your adjusted gross income in 2011 was less than $57,000 you can use the IRS free file tool to file your 2012 tax return. Many commercial tax software are available on market, I will keep this space open for advertisers or sponsors. If you belong to a company who specializes in tax related matter and want to link your business/software from this section or, if you are, perhaps, interested in a giveaway of couple of copies of your tax software, you are welcome to contact me. These are some tips that I follow every year, hope this helps you. remember these tips are for e-filing your tax return. File in full faith. Use good record keeping habits and a computer to complete your return. All information should be correct, do not cheat IRS. Use the correct filing status. The wrong tax category could cost you plenty in credits and deductions. Claim all of your allowable exemptions. At $3,700 per exemption, that is a not something you can afford to lose. Don’t use round numbers. Round figures in every columns/categories are one of the patterns that IRS automated software check for in tax returns. Too many round figures would increase your chances of an audit. Refer to your bank/credit card accounts. When needed refer back to your past spending history. extremely useful when you are itemizing. Even your health insurance account is of the same value when it comes to itemizing your tax return. Ask experts when in doubt.I am not asking you to spend money unnecessarily but, a wrong tax return will cost you much more than a consultant fees. Ask IRS, ask experts or seek help from professionals in lieu of fees. Wait for all tax forms to arrive. Depending on load and schedules financial institutions post 1099 forms at various times. Last year the last 1099 form I received was from T-Row price, sometime in February. I had to wait for it. Check tax sections of your online financial account. Extension tot he point above, I noticed that T-Rowe had put in online version of my 1099C long before they mailed me the form. Armed by this information, this year I am planning to file my tax return by late January. My employer also post W2 form online at least a week before I receive it in my mail box. File and pay on time. You must pay at least 90% of your tax due by April 17 to avoid penalties. More on when are taxes due. If you’re not ready, file an extension. File IRS Form 4868 and you will get until October 15 to file and avoid a late filing penalty. Store Id/password and PIN securely. Store them in a secure place and try not to forget it next year. My external hard drive has a specific encrypted folder for such type of information. Don’t loose the information as this PIN act as a key to your next years tax return. Enter your checking account number. we never had to wait for more than 3 weeks to get our refund deposited on our bank account. remember this important last step. You can also opt for a check to your mailing address but, automatic deposit is always hassle free. You’ll find hoards of information on the net about 2012 tax return, but, nothing beats this IRS tax guide page, written for individual filers. A number of resources are on this page. IRS also offers a payment plan if, for some reason, you are unable to pay your taxes on time or in full. Check out IRS Installment agreement. Lastly, check out IRS 2012 tax tips, this has all the information you could ever find for free. Thank you for reading this article. 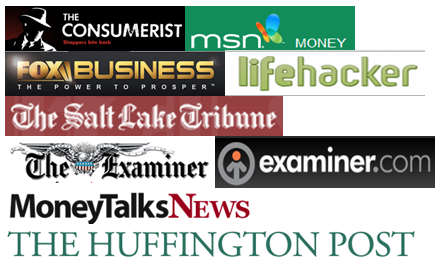 If you like my blog, consider subscribing to One Cent at a Time via RSS or email. You can also subscribe via Facebook or Twitter by clicking on those icons on the top. Thank you! Super informative SB! I’ve always used TT, but I’ve heard good things about TaxAct. How good is it for handling MLPs and REITs? Does it handle state taxes well? TAxAct does handle state taxes. Having Lived Texas in Florida I never had to file for state taxes. Same goes for MLPs and REITs I never filed them. And I just entioned that I use TaxAct it shouldn’t make the readers think that taxAct is the tool they should be using. There are many other excellent tax software available in the market. Thorough post. Good tips for JoeSixPack doing his own taxes (by the way, I’m only about “Joe two-and-a-half pack….”). I especially like the evergreen tips at the bottom. I always wait until the last minute to file tax because we usually owe money. I’ll start looking at tax around February and see how it goes this year. Why is that so? Because of yor side income or because yours mrs’s tax is not deducted at source? Great info SB. I have also used TaxAct for the past several years and have been very satisfied with their service and software. I plan to use it again this year. Good to know Mary. Yeah I feel comfortable using it, mostly because I don’t itemize my return. Great post, SB. We’re usually fist in line with our accountant. With some tax-loss selling, I hope this year we’ll break even. I have never heard of TaxAct. I will look into them. If you income was more than $400 in year 2011, you have to file 1040 from towards self employment tax and you can pay estimated prepay. If it was less than $400 you don’t need to pay taxes but, still you have declare in the return, even if you didn’t receive 1099-M form. Good information. We used one of the IRS free file companies last year and will probably do so again this year. I worked for one of the big tax preparation companies last year and the software they use is very similar to the tax software available to consumers. I doubt you’d get a bigger refund by going to one of the tax preparation chains. I thoroughly support this notion. Still I will reiterate what i conveyed in the post, if in a little bit of doubt, go to an expert. Don’t take chances with your taxes. Really good and thorough post! My husband uses TaxAct to prepare taxes, and while it is okay, he does have some complaints. The jump in price from TaxAct to some others is pretty steep, so I am not sure what he’ll do this year. I paid TaxAct the first time I opened an account, that was 4 years back. Since then I really haven’t paid a single penny to file taxes through them. Great tips! We always use TurboTax even though it’s expensive. We’ll be doing our return as soon as we receive all the paperwork. I don’t understand why the Federal taxes are so high for middle class incomes and what is this federal income tax revenue spent on? Now sure whome to vote. Republicans are worse. No education, no major infrastructure upgrade. Living in fools paradise. Great article. Thanks for the info, you made it easy to understand. BTW, if anyone needs to fill out a form 4868, I found a blank form here http://goo.gl/bKnfH8. This site PDFfiller also has some tutorials how to fill it out and a few related tax forms that you might find useful.